Enjoy the rich look of tooled leather on the Cheyenne Turquoise Comforter Sets. 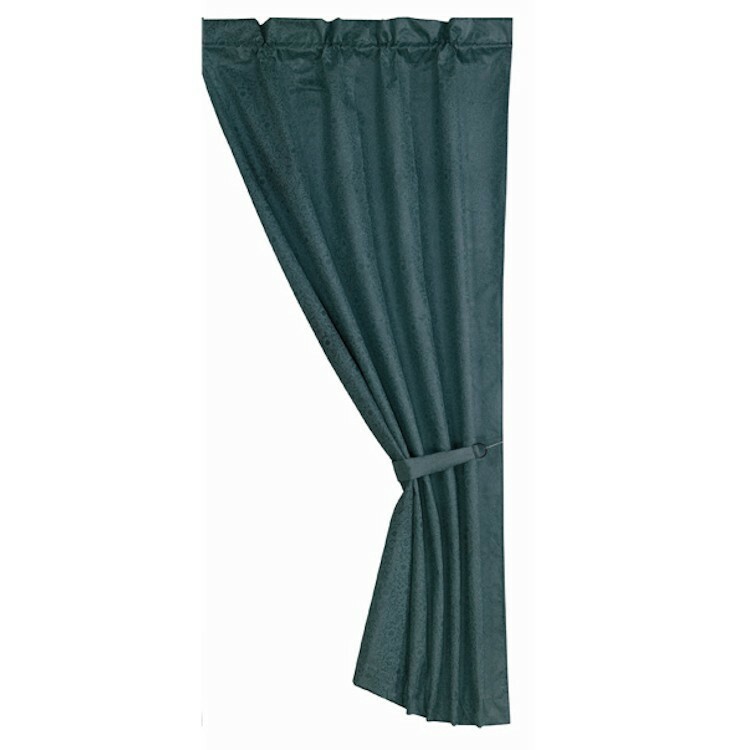 Micro fiber suede in turquoise with an embossed tooled leather design features dark brown accent strips dotted with silver tone studs. 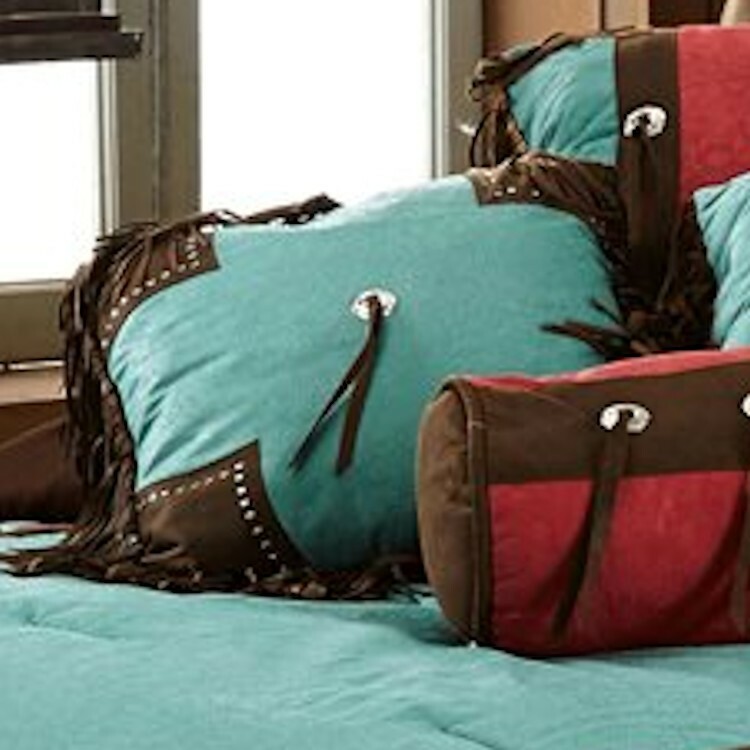 Enjoy the rich look of tooled leather on the Cheyenne Turquoise Comforter Sets. Micro fiber suede in turquoise with an embossed tooled leather design features dark brown accent strips dotted with silver tone studs. 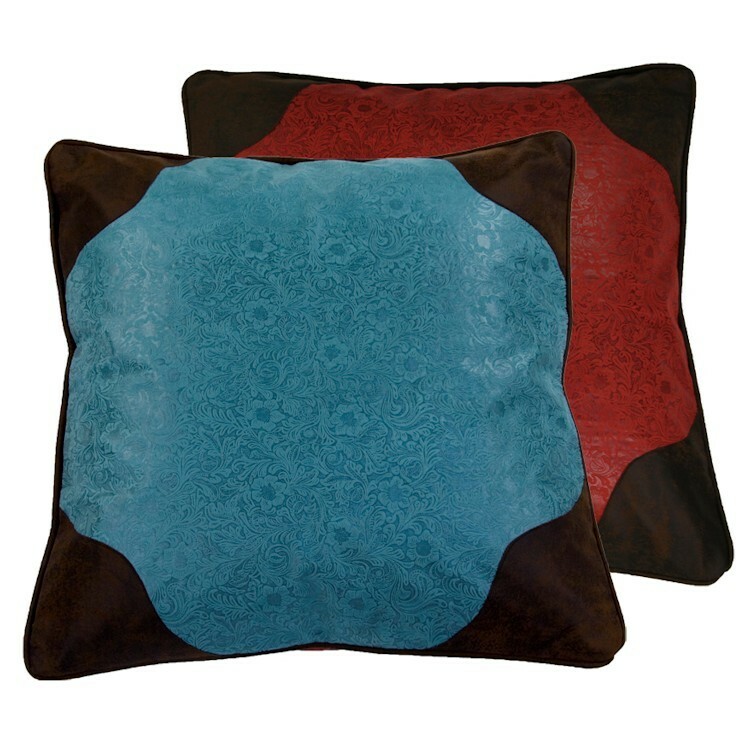 Pillow shams and accent pillows combine the turquoise micro fiber suede of the comforter with red micro fiber suede in the same tooled leather design.